My mother was an English teacher. She was very good at it and quite demanding. So much so that when writers use poor syntax, passive voice, or end a sentence with a preposition, I’m known to groan out loud. Who cares? My mother made me care. It was a birthright. Thus, I know the title of this column uses bad grammar. I use it here as I employed it some years back at a national gathering of home building CFOs: to get your attention. This was a high-powered group with MBAs from big-name schools. You know you have too many financiers in a room when they work the term “basis points” into every other sentence in a discussion. They’ll tell you using “basis points” is far easier than saying hundredths of a percent, but I think it mostly makes minuscule numbers sound important. My bad-grammar opener—albeit high-risk—worked for that meeting. Telling accountants and financiers they don’t count well is like telling chefs they can’t cook. I couldn’t declare that this industry has a “measurement deficit” if I didn’t have to continually confront it. In home building, we don’t measure a lot of things we should, and those we do measure, we often measure poorly. On top of that, add the virtual absence of knowledge of statistical variation; understanding when movements in numbers are “common cause” versus “special cause,” that is, produced by normal random variation in a system rather than by specific anomalies. The result: We make a lot of bad decisions, or sometimes just non-decisions. There’s neither time nor space to illustrate all of the significant examples of measurement fails, but I’ll describe five of the most common to challenge your assumptions and make you think. This list isn’t in order, except for No. 1, which is the source of more bad decisions than any other misunderstanding in home building—especially frustrating because though generally understood intellectually, it’s rarely practiced in day-to-day home building. I challenge you to find a single experienced construction or purchasing manager who can’t wax eloquent about the many times they’ve been burned by a low bid. Simple, right? Couldn’t meet the schedule—either labor or material delivery. Poor quality. Bad or nonexistent warranty service. Caused problems with other trades. No cleanup, left the site a mess. Those are just the more obvious ones. For trades and suppliers, you have to ask: Do they mesh with your technology? Do they promptly communicate problems with product, process, or plans in the field? Do they help in new plan development? Are they proactive in helping you make the right decisions about best materials? Are they safety-conscious? Be honest. Sit down with Purchasing and look at the criteria used to let contracts and how suppliers and trades score on each one. You only have one criterion and it is bid price? Really? There should be at least seven or eight items you track; we suggest a group of 10. If you don’t have the three-year rolling average of each trade’s state workers’ compensation score, can you really make a responsible decision about hiring them? As I’ve said many times over the two decades of writing my columns: The only thing that buying on bid price alone guarantees a builder is that you will never operate by total cost. Period. And total cost is the only thing that matters. Both architects and engineers will detail at length how so many home builders won’t pay for well-engineered, site-specific plans that include all details, including mechanicals. This goes far beyond simple blacklines or CAD block-outs, and it costs a lot. Or does it? Now that you have the fully detailed plans, add on engineering at about $0.50 per foot, so in this case, $1,250. (Note: If you ask for engineering from blacklines only, of course the engineering cost will be higher.) Summing it up, each plan will cost you perhaps $4,500 up front to get it fully detailed and engineered. Then for each additional unit, on average, you’ll pay around $500 for the site specifics. Assuming you build 50 units of this plan, your amortized cost per plan is $4,500 + ($500 x 50) = $29,500 / 50 units = $590 per unit. So what costs do you avoid? For starters, go back and read about half of the columns I’ve written during the past 21 years. Meanwhile, think about how many errors you will eliminate; how much rework you’ll avoid; the phone calls you’ll preempt; the extra trips to the building site you’ll skip; the time saved for Construction, Purchasing, and Accounting; the significant reduction of variance purchase orders (VPOs); and—the largest cost of all—the schedule days that will be saved. Now add all of the things you can’t conveniently measure but that cost you just the same, such as frustration for your suppliers, trades, project managers, accounting clerks, and service technicians, not to mention your customers. Let’s be blunt, less than $600? If you know how to count at the most basic level, you’ll never again use anything but fully engineered, site-specific plans with complete details. A year ago I sat down to write a column about the nightmare of VPOs that plagues this industry. That column soon morphed into four (see Professional Builder, August, October, November, and December 2017), and I hadn’t completely finished the discussion when my editor advised giving it a break for a while. After years of work on the issue, at long last the reason why variance remains an ever-present, all-consuming, profit-robbing issue became clear: No one in the industry—and I truly mean no one—measures it correctly. How could that be? In those columns about variance, one of the case studies I described was a nonstandard keystone discovered by a mason right at the end of a job. It didn’t fit and had to be replaced. At first blush, it was a cost difference of $6. Would any purchasing manager in the world get bent over six bucks? They have bigger fish to fry, right? If purchasing did receive a VPO request for $6, they’d mostly just be annoyed, knowing that processing it would cost far more for both the builder and the supplier. But a detailed analysis of the true total cost of that seemingly small problem revealed nearly 50 steps costing more than $1,200. Now that would gain the attention of any purchasing manager. To make it worse, the builder team discovered that similar things happened continually; 15 to 20 or more per job, at a minimum, across all suppliers and trades. How did the builder miss this? The $1,195 unaccounted for was buried in the collective overhead—mostly lost time—among suppliers, trades, and various builder departments. Go pull any VPO (or EPO, FPO, “extra,” or whatever you call them locally) and see what’s listed. You’ll find labor and/or materials. That’s usually it. Perhaps once in a long while a trip charge. Some years back we started to suggest that builders apply an average overhead premium of 50 percent of the VPO. Then we realized it needed to be at least 1 to 1. But now we’ve seen so many calculate out at 10 to 1, 20 to 1, or in the case of the errant keystone, around 200 to 1, that we suggest you peg the overhead premium at somewhere between 1 to 1 and 10 to 1 for starters, and more if warranted. Now determine who is bearing what share. Careful: If you think because a supplier or trade eats 80 percent of a big load of overhead, it doesn’t hurt you, don’t kid yourself. Eventually, it makes its way back to you. If not on this house, then on another down the road. We are working on an Excel template to help estimate the overhead factor in VPOs. In the meantime, consider it irresponsible to value a VPO without a solid estimate for the impact of overhead­­—on all parties involved. This is another one that’s occupied my thoughts for more years than I can count. Thirty years ago I heard a Pulte guy named Howard Johnson ranting about “the sausage line.” In his view, when the sausage line goes down, those seconds, minutes, hours, and days are gone forever. You can never recover lost time. Of course, you could choose to run that line when it comes back up again at night, on a Sunday, or on a holiday, but that still doesn’t replace the time you lost. It took me years to get this through my head. Now combine the sausage line concept with the principle of “absorption of fixed cost.” Up to a point, based on many variables, building one more widget, growing one more bushel of corn, or pushing out one more completed home without increasing fixed cost, brings higher profit. At some level, of course, you’ll need to add resources to the system. Until then, your lunch may not be free but it’s far cheaper. You win. So how do you measure what a day is worth? Builders typically calculate savings on interest, taxes, and little else. Depending on how you’re financed, that may amount to $100, perhaps $200, per house per day, mostly variable cost. What about the increased absorption rate? After years of experimentation, we came up with the Saved-Day Calculator—an Excel template you can use to calculate the impact of both fixed and variable costs from a saved day in the schedule or any number of saved days. It’s far higher than most believe. There are a couple of caveats, though. The calculator shows potential profit generated if, and it is a substantial if, you apply those days to the additional production of homes. First, you must convert those days into actual work and second, you need a market for those homes. The calculator shows the potential, not a guaranteed actual. We tell builders to take half the number (to be conservative) for a working goal, but some of our best implementers have recovered 75 percent to 80 percent of that potential. How big is it? You need to figure it out using your own financials and your own actual schedule, but we’ll make it easy for you: Send us a request using the email address at the end of this column and we’ll send you the Saved-Day Calculator template. I can guarantee you one thing: It will open your eyes and you’ll never measure a schedule day the same way again. A veritable acquisition fever has gripped U.S. home building during the past few years. Working with a top national builder during a similar growth period back in the ’90s, I tried hard to get a seat on the team that reviewed new acquisitions but was rebuffed because the team’s head found my great questions annoying. Someone would walk a new acquisition target in the front door and it was all about the land position. If the land or lots looked good, with price and terms we could bear, we were all over it and commenced the legal review. Then, if there appeared to be any demand for new homes at all, we began writing checks. 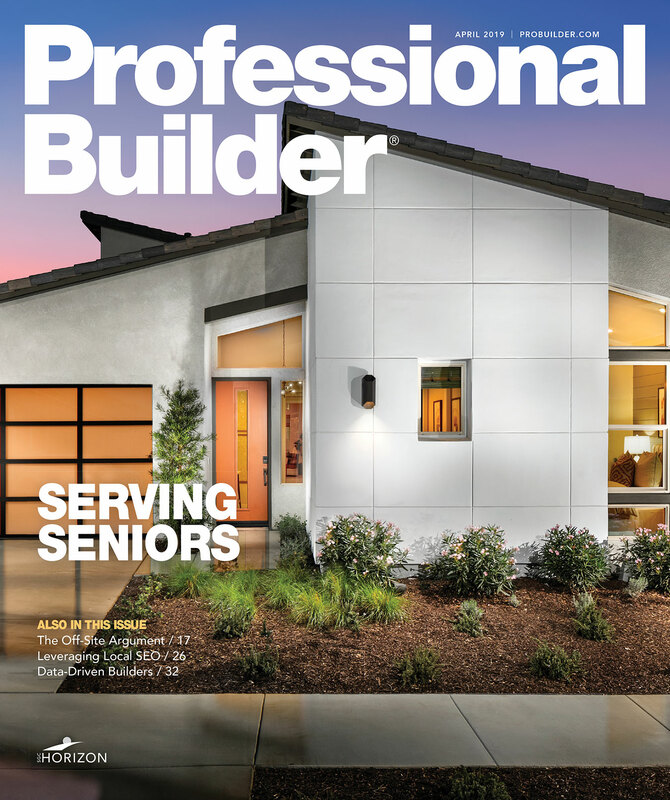 I published a two-part series of columns in Professional Builder some years back titled “Overdue Diligence” (December 2013 and January 2014), in which I reviewed the “usual three” factors described above, plus some critical ones most builders overlook. These include evaluation of management, staff, the trade base, and the supply chain; system and process review; cycle-time calculations; and valuation of customer franchise and community franchise. Simply put, if you don’t account for the valuation of those significant factors in addition to the usual three, it’s impossible to accurately value the builder. Why is this so rarely done? Because it’s more difficult and takes longer! I’d suggest, however, when you’re putting up seven- or eight-figure money, that it’s irresponsible not to make the effort. There are other common industry measures that are good candidates for a similar critique, such as the true total costs of quality, warranty, turnover, and excess trips to building sites, among a host of others. Or what about how we often confuse ourselves using percentages such as “52 percent hard costs” or “21 percent developed lot cost,” which often have no basis for comparison, builder to builder. We must do a better job as an industry and, as is with so many changes, the first step is to admit we have a problem. It’s time to quit kidding ourselves and start challenging the assumptions behind the numbers we use every day. It’s often said, “Numbers don’t lie.” Maybe so, but they can sure confuse the hell out of an issue, as I’ve demonstrated above. How about today you pick a few calculations you hold dear and challenge them. You’ll learn a lot. Your numbers will get better. Your decisions will get better. That’s progress. For a link to a PDF of this article, copies of the Trip Cost Calculator and Saved-Day Calculator Excel templates, and PDFs of recent columns, please email your request to info@truen.com.